Wardrobe Wand is owned and run by professional stylist, fashion editor and blogger of www.mumsweardaily.com Karen Skagerlind. Karen lives and breathes fashion and has enjoyed a long and successful career in the industry. After completing a fashion degree she was picked for a graduate management programme at Harrods and became one of their youngest ever fashion buyers. 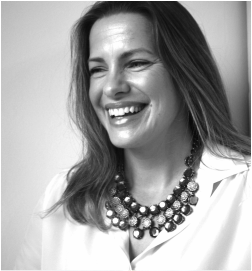 She has also worked as a buyer for Monsoon/Accessorize, senior brand manager for Johnny Loves Rosie and head of footwear and accessories for Evans, part of the Arcadia group. As well as running Wardrobe Wand Karen is fashion editor for www.talentedladiesclub.com , a magazine style website providing inspiration and advice for working,freelance and business mums.